Screamer Radio is a player for streaming Internet radio that features 1,000s of stations, search by keyword, and favorites. The program has sleep timer and other auto-shut off settings to avoid wasting bandwidth. It supports Shoutcast and Icecast MP3, Icecast OGG Vorbis, WMA, AAC and AAC+ streaming. Note that an earlier version of the program (v0.44) supports recording, does not require dotNET and is stealth. How to extract: Download the "portable" ZIP package and extract to a folder of your choice. Launch Screamer.exe. @melancholy: I suppose it was the stations that were updated in March. 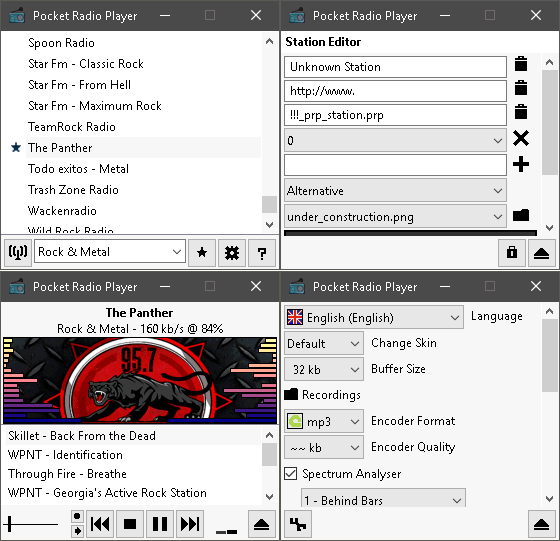 streamWriter is a feature-rich Internet radio client with the ability to record both the played stream and any number of other stations simultaneously. The program includes a searchable browser for thousands of available sources of every kind (rock, rap, talk, sports etc. 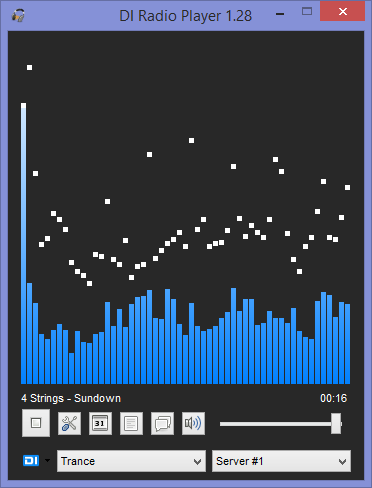 ), an audio splitter that looks for silence to separate tracks, and includes a basic player for recorded files. 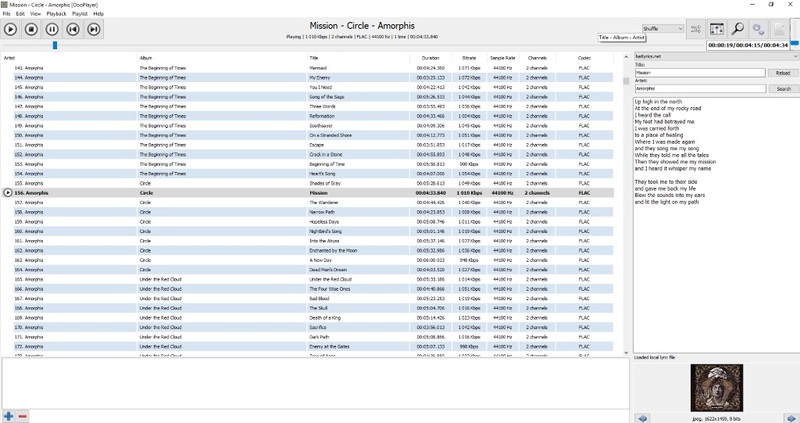 The program supports scheduled recordings, audio file wish list and block list, equalizer and allows connections with the streamWriter community to report on available radio streams. Functional in 64-bit. Add-ons are available for additional features such as audio conversion, post-processing and tag edition. When prompted, choose "Save data to application path"
Optionally, enable Addons in the File - Settings - Addons menu and check boxes next to required Addons, which will download automatically to the application folder. Fixed a bug leading to an application crash. freakazoid: Cool, thanks. I've been using this program for years now and I never noticed that. Is it possible to connect via proxy which requires user and password? afh: Doesn't look like you can add a user and password for the HTTP proxy. You could try something like 'user:password@yourstream.com' for the host. This might work, but I'm not sure. If that doesn't work, you could request this feature from the developer. 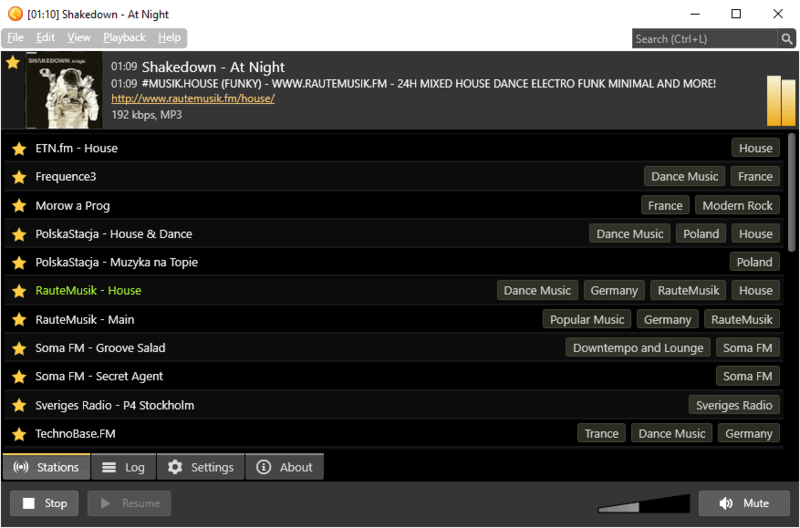 The program is functional with DI.FM premium and offers a variety of quality levels and supports favorites. NOTE: website offline; linking to softpedia (thanks smaragdus). How to extract: Download the ZIP package and extract to a folder of your choice. Launch DI Radio.exe. Great program that's definitely my preferred DI.FM premium interface but unfortunately I'm having constant connection issues. I tried to contact the dev but couldn't seem to get access to their forum. For the moment, I've switched over to VLC.